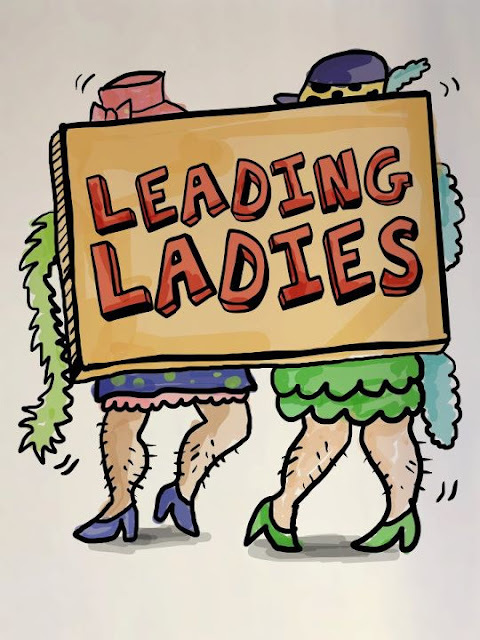 "Leading Ladies," a highly combustible and continuously hilarious new comedy! If men posing as lovely ladies aren't enough, one of the men, Leo, falls for Meg, one of the old lady's nieces. Romance with Meg is complicated by an engagement to the local minister. Romantic encounters also unfold, especially when Leo falls in love with one of the nieces, who happens to be engaged to the local minister. With scenes of cross-dressing men running around slamming doors, this new play by Ken Ludwig is sure to have you laughing. "Leading Ladies," provided for a very pleasant evening of laughs, combining old-fashioned comedic hijinks with a few modern twists a 1950’s audience would likely not laugh at. Part of the fun, though, is recognizing characters and plot points from old movies. And of course, lots of butchered Shakespeare. The best part of this performance is the natural “playing” feel the actors give to the show, along with details they couldn’t possibly have planned and so much the better. The leading men taking the stage, and most of the laughs are James Stacey as Leo and Topper Fabregas as Jack. James and Topper are joined by Cris Villonco as Meg, Giannina Ocampo, who will play Audrey, is a fresh addition to Rep’s roster of talents, Jamie Wilson as Duncan, Juno Henares as Florence, Hans Eckstein as Butch, and Oliver Usison as Doc. Theater stalwart Michael Williams, takes directing reigns on Ludwig’s comedy. Baby Barredo (artistic director), Menchu Lauchengco-Yulo (associate artistic director), John Batalla (lighting designer), Denis Lagdameo (set designer), Gidget Tolentino (production manager), Ayam Barredo (company manager), Dingdong Rosales (stage manager), Pol Roxas (sound technician), Pablito Salvador (lighting technician), and Adul Lasin (set execution and scenic artist) make up "Leading Ladies"’ artistic and production teams. “Leading Ladies” shall run from February 10 – March 4, with shows on Fridays and Saturdays at 8:00 p.m. and matinee shows on Saturdays and Sundays at 3:30 p.m. All performances are at Onstage, Greenbelt 1, Makati City. For tickets, inquiries and other information, call Repertory Philippines at 571-6926 or 571-4941 or email info@repertory.ph. Tickets are also available thru Ticketworld at 891-9999 or www.ticketworld.com.ph. 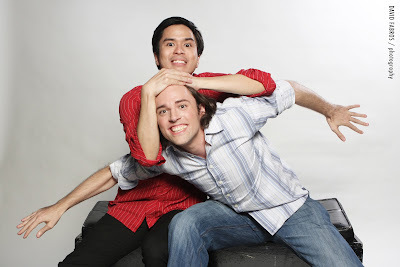 Visit www.repertory.ph, subscribe to youtube.com/repertoryphils, and add “Rep Phils” in Facebook.